NEW! First time available only through Extreme Hunting Solutions! 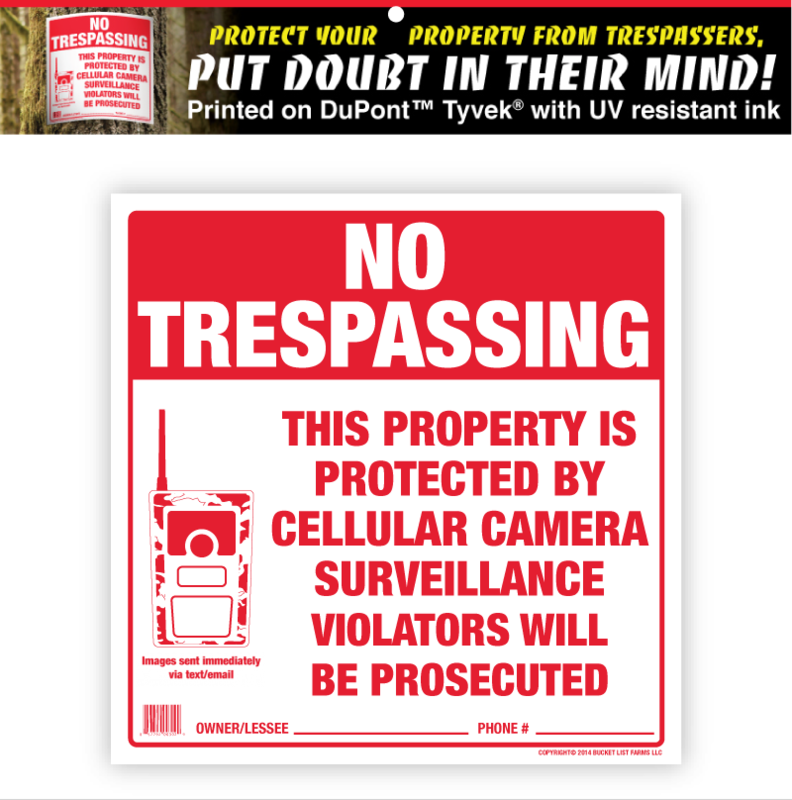 Printed on DuPont™ Tyvek® with UV resistant Ink 12" x 12", pack of 10 sheets. 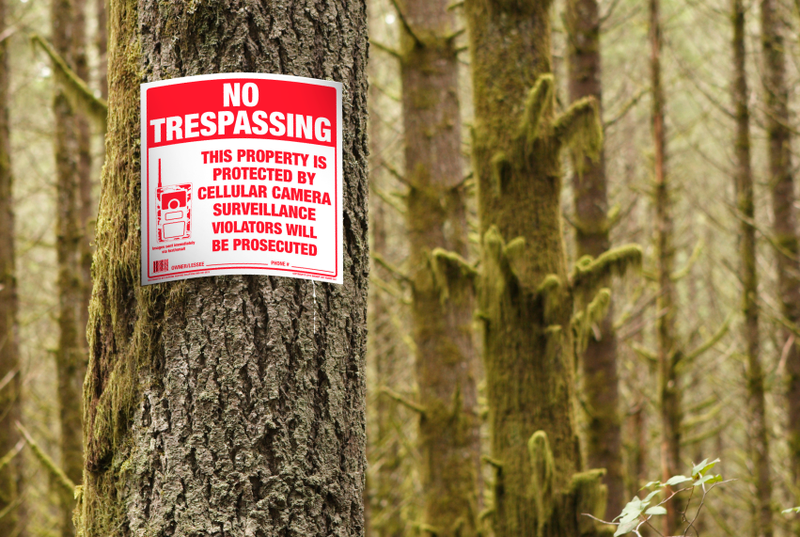 "Protect Your Property From Trespassers!"